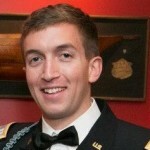 Mark graduated from the U.S. Military Academy in 2008 with a B.S. in Human Geography and was commissioned as an Infantry Officer, subsequently leading platoons in Iraq and Afghanistan. He then served as a Platoon Trainer and Logistics Officer at the U.S. Army Ranger School. Mark is currently a dual-degree MBA and MPH Candidate at the Tuck School of Business at Dartmouth and the Dartmouth Institute for Health Policy & Clinical Practice.